To be a hip-hop fan in 2019 is to be overwhelmed by change, particularly when it comes to its restless young talent. Just when you think you have a grasp on an artist reshaping New York hip-hop, he suddenly pivots to a global-dance-pop style. Even the listening format is erratic: the genre now comes in epic twenty-five-song mixtapes, or in albums that barely break the twenty-minute mark. It is difficult to name another art form in recent history that has become so culturally dominant while being so thoroughly deconstructed, so fragmented and open to reinvention. Whether it’s the short attention span of rap fans raised on 10-second Instagram clips, it feels like rappers and producers can’t just make good albums anymore. Some respite from this pace can be found on the West Coast, where tradition has a stronghold. Both Los Angeles and the Bay Area have produced a stream of invigorating rap stars who keep their antennae tuned to the past as well as to the present. Dwayne “Muffla” Simon is one of the original pioneers of hip hop. He is the man responsible for writing, producing and arranging super hits for artists such as LL Cool J, Run DMC and Ice Cube. Simon once ruled the charts as one of the original members of the L.A. Posse, a legendary multi-platinum production team. With songs that included LL Cool J’s “I Need Love,” and “Jingling Baby,” “Beats to the Rhyme” for Run DMC and “Jackin’ the Beats” for Ice Cube, Simon was a musical hit making blazer. Well Dwayne “Muffla” Simon is back with his latest endeavor – the production company, Covert Entertainment & Soundworks, which marks his foray back into the music business. The recent release “Suspicious Packages #2” is his first production album in 20 years. It marks the return of original, funk-inspired west coast hip hop. “The goal was to make sure each joint checked all the boxes for longevity, potential, the nod factor, C-walkability, ‘unfuckwitable’ bars and lyrics – you know … the formula,” states Simon. “Suspicious Packages #2” harks back to the era when West Coast hip-hop had a grip on the national consciousness. While New York is known for its gritty bars and praiseworthy lyricism, Dwayne “Muffla” Simon shows us why nothing slaps harder than West Coast beats. 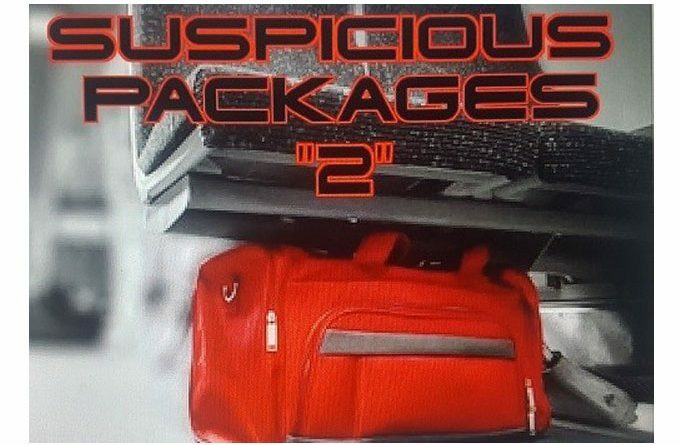 Eighteen tracks, plus a bevy of rappers and singers fills “Suspicious Packages #2” with a myriad of rhythms, flows and melodies which showcases the projects’ ability to blend funk, soul, R&B and hip-hop. But that also goes to show the amount of time, dedication and energy Simon puts into perfecting this compilation of songs, unleashing nothing but bangers for new and old fans alike. 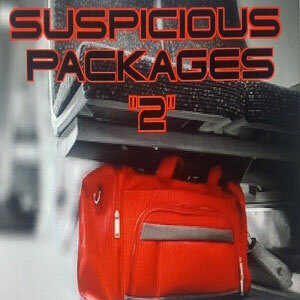 Aside from putting fresh batteries into the urban music scene, “Suspicious Packages #2” is dope on its own merit. It is an exuberant, celebratory vehicle that efficiently introduces Dwayne “Muffla” Simon’s production company, Covert Entertainment & Soundworks, with a bang. Personally this is one of best West Coast albums I’ve ever heard!